June 10, 2010 will go down as a miraculous day in history for our family. 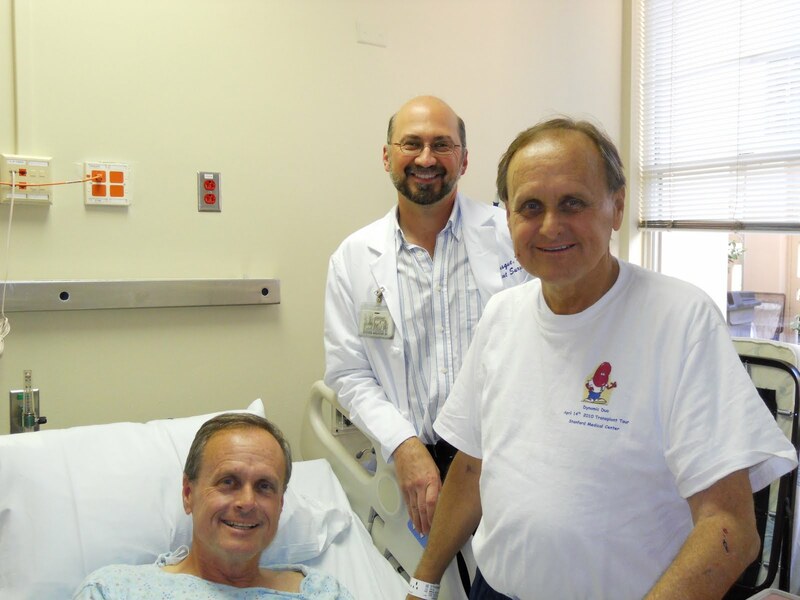 It is the day that my Uncle Chris donated his kidney to my dad. 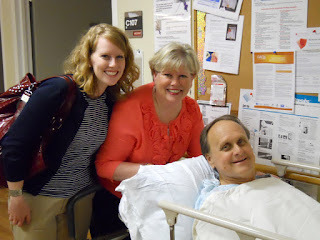 After over a decade of living with diabetes and doing dialysis for the last two years, my dad received a new kidney. It has been an extremely emotional journey that has taught our family about charity and what it means to be a true friend. Thank you to the doctors at Stanford Medical Center, especially Dr. Busque, the surgeon. Thank you to the nurses who put up with all the twins' shenanigans! And a huge THANK YOU to my mom for being such a rock! She has been an example of patience, faith and love throughout this whole experience. I am so grateful I was able to be in California for the transplant. It was wonderful to spend that time with my parents. 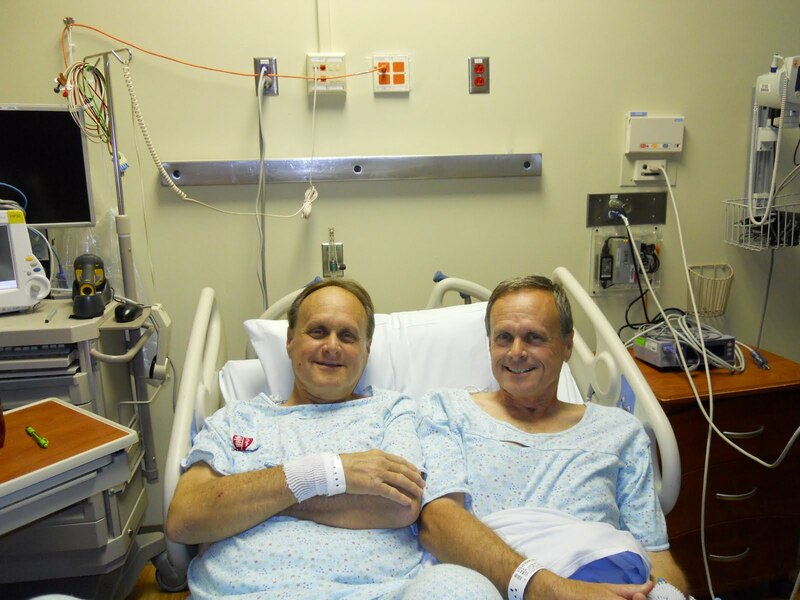 The surgery went really well and both donor and recipient are doing well. Dad is feeling great and gets to go home to Modesto soon! We are all looking forward to many more healthy years with him! ps For Father's Day my dad gave all the kids Stanford t shirts. If someone asks why we are wearing them we can respond, "My dad went to Stanford....Medical Center."